If you missed our excellent trip to the Hergé Museum in Belgium a few years back… fear not.. an excellent Tintin exhibition is coming to the UK. 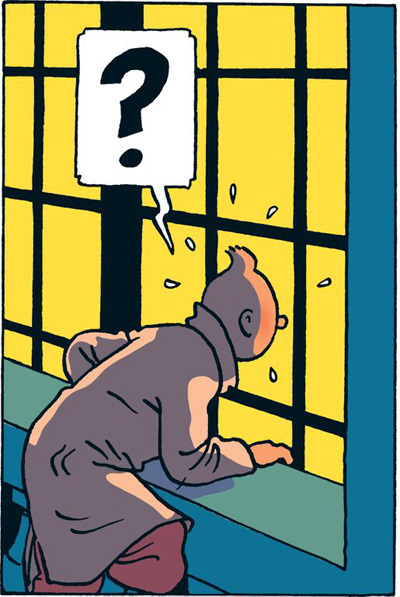 This winter, Somerset House is proud to present TINTIN: Hergé’s Masterpiece. Stepping inside the wonderfully eccentric world of artist-author Hergé and Tintin, his intrepid young reporter, the exhibition will explore the evolution of the artwork of Hergé, from the simplicity of early newspaper strips to the genre-defining graphic work of the later books. Drawing on the archives of the Hergé Museum in Belgium, TINTIN: Hergé’s Masterpiece will feature pencil sketches, character drawings, and watercolours alongside original artwork from the finished stories. The exhibition will also reveal more about the man behind the masterpiece. Hergé had an enduring fascination with architecture and design. With his skill as an illustrator and a draughtsman’s eye for design, the settings in which the stories were played out were always rendered in meticulous detail. Models/installations of memorable locations such as Tintin’s apartment will be displayed and the exhibition will be themed with reference to one of Hergé’s favourite backdrops – Marlinspike Hall, Captain Haddock’s country house once owned by his maritime ancestor, Sir Francis Haddock. With a similar neoclassical splendour and nautical history as the former home of the Navy Board and office of Lord Nelson, Somerset House makes a compelling site from which to share Hergé’s own story. 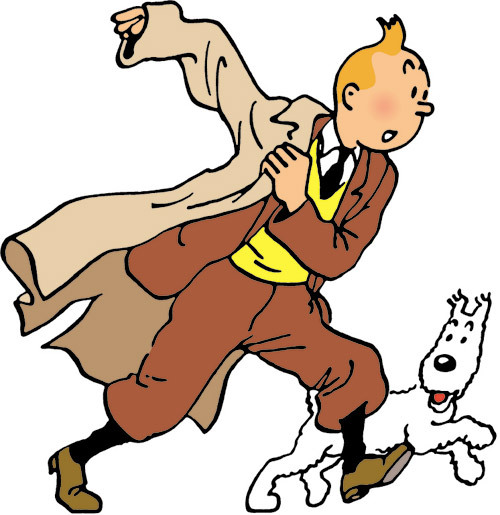 Since he first appeared in Hergé’s weekly cartoon strip in Le Petit Vingtième in Brussels in 1929, Tintin has become one of the most iconic comic-strip heroes along with a supporting cast of his trusty dog Snowy, Captain Haddock, Professor Calculus, and Thomson and Thompson. With more than 200 million copies of the famous 24 ‘albums’ sold worldwide which also recently inspired a Hollywood blockbuster, Hergé’s timeless character continues to attract new generations of fans to his stories for their unique mixture of artistry, history and adventure. TINTIN: Hergé’s Masterpiece will coincide with the release of a book of the same name, published by Rizzoli priced at £35.00. 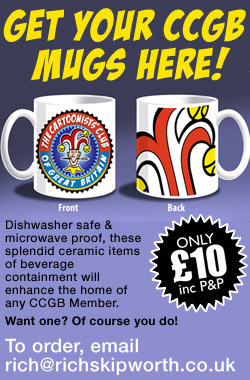 The Cartoonists’ Club are currently planning a day trip to London to include a visit to this splendid exhibition. 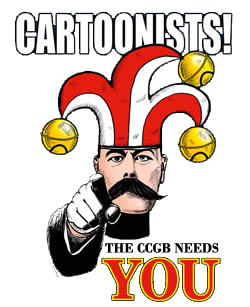 Full details in Jester soon.